A Cannon County Sheriff's deputy now has two reasons to celebrate each March 11. Travis Turney, who joined the sheriff's department in September when Darrell Young became sheriff, graduated the Tennessee Law Enforcement Training Academy on March 11. That date is also his birthday. 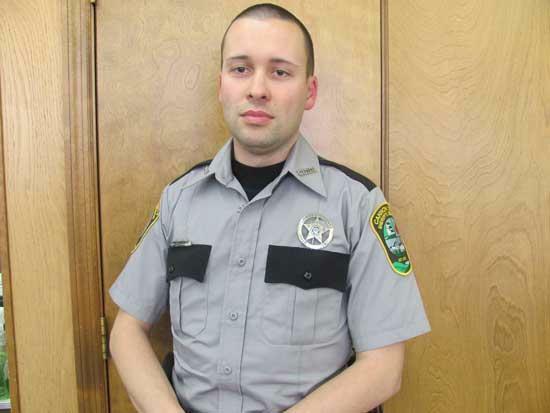 Deputy Turney is a Cannon County native, the son of Roger and Shirley Turney of Auburntown. The 10-week training course is the mainstay of the Tennessee Law Enforcement Training Academy. Its mission is to produce a physically fit, highly motivated, basically trained police officer thoroughly indoctrinated in the ethics and professional standards of the law enforcement profession. The graduated officer has a degree of both technical and tactical proficiency to function on the streets as well as in the criminal and civil courts of our state. In 1999, the Academy was awarded accreditation by the Commission on Law Enforcement Accreditation Inc., (CALEA), along with other Department of Safety law enforcement divisions. This year, T.L.E.T.A. expects to train more law enforcement officers than ever before through its Basic Police Recruit and specialized training courses. Way to go Travis, you are a brother to all Tennessee Law Enforcement. Congratulations. Congratulations, Travis. I am very proud of you. Congratulations Travis! Gary speaks very highly of you and we are all proud of you!!! Congratulations, Travis. We are proud of you. Congrats Travis, what a great Birthday present. You have made Auburntown proud!